Deborah Drever, the NDP member of the legislature for Calgary-Bow, has been suspended from the NDP caucus after yet another controversial social media post emerged. Leader Rachel Notley has apologized for the post, which she says is homophobic. 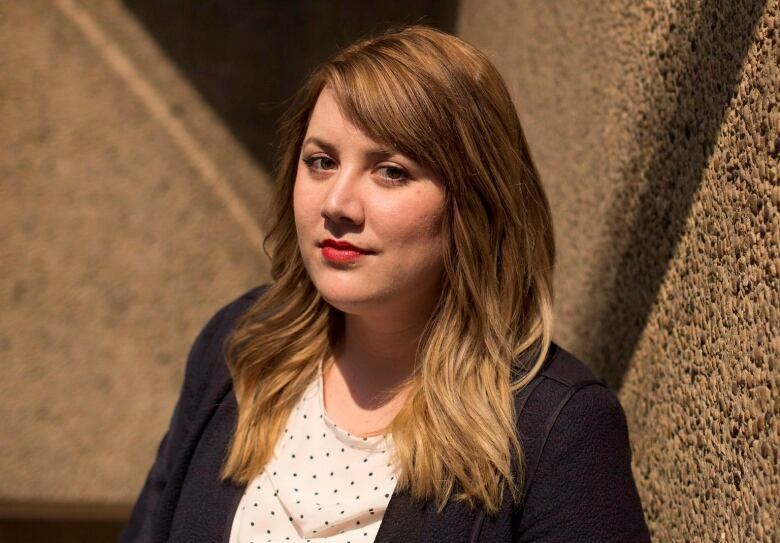 Deborah Drever, the recently elected Alberta member of the legislature for Calgary-Bow, has been suspended from the NDP caucus after another controversial social media post emerged. 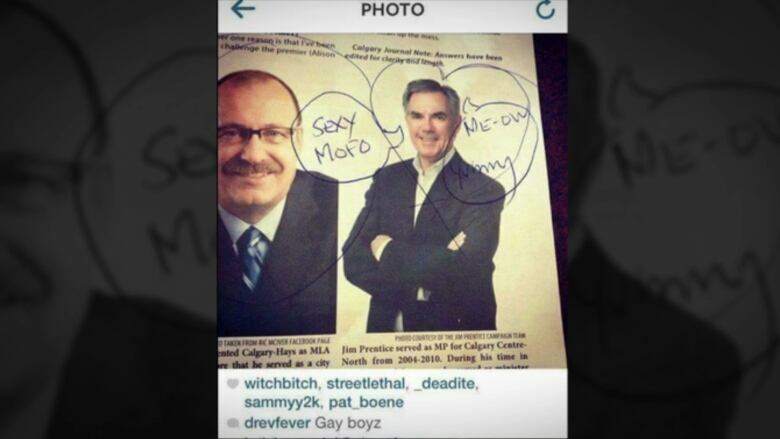 The photo, posted on Instagram, features former premier Jim Prentice and interim Alberta PC leader Ric McIver. Underneath the image, a user with the name drevfever posted the comment "Gay boyz." "I apologize to all Albertans for the homophobic statements contained in this image, which are completely contrary to the views of our party and our future government," said premier-designate Rachel Notley in a statement. Drever's troubles started almost immediately after winning her northwest Calgary seat in the May 5 election, when photos emerged of her posing next to a T-shirt emblazoned with marijuana leaves, and another from her Facebook account of someone giving the finger to the Canadian flag. Soon after, a heavy metal album cover emerged featuring Drever posing as a victim of a sexual assault. "I hope Ms. Drever will take to heart our conversation earlier this week about her responsibility to speak out clearly on issues of violence against women, and homophobia," said Notley in her announcement of Drever's suspension. "If she does so as part of her duties to her constituents, I'll review this matter in the coming year and consider whether she has a future in our caucus." Drever will sit in the legislature as an Independent. An earlier headline on this story incorrectly said Deborah Drever had been expelled from the NDP caucus. She has been suspended.